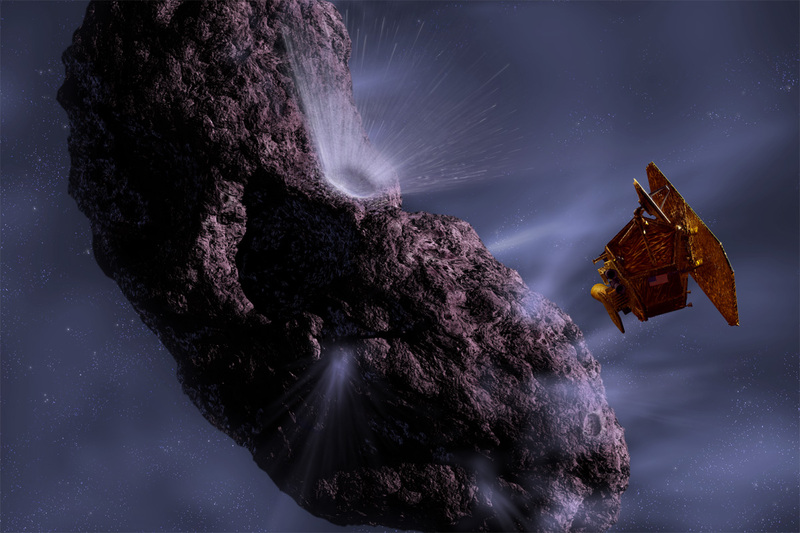 After its encounter with comet Tempel 1 in 2005, NASA’s Deep Impact probe set a new course for comet Hartley 2. The latest images from the spacecraft reveal a small object shrouded in its own cosmic snow storm. Picture of the nucleus of comet Hartley 2 taken by the Deep Impact probe from a distance of around 700 km on 4 November 2010. Credits: NASA/JPL-Caltech/UMD. A spectacular and serendipitous scene indeed. In fact, the U.S. Deep Impact probe was originally scheduled to end its mission after studying comet Tempel 1 and then just continue its journey wandering into outer space. But since it was in such good shape and still had fuel on board, scientists decided to send the probe to encounter comet Hartley 2 as part of the extended EPOXI mission. 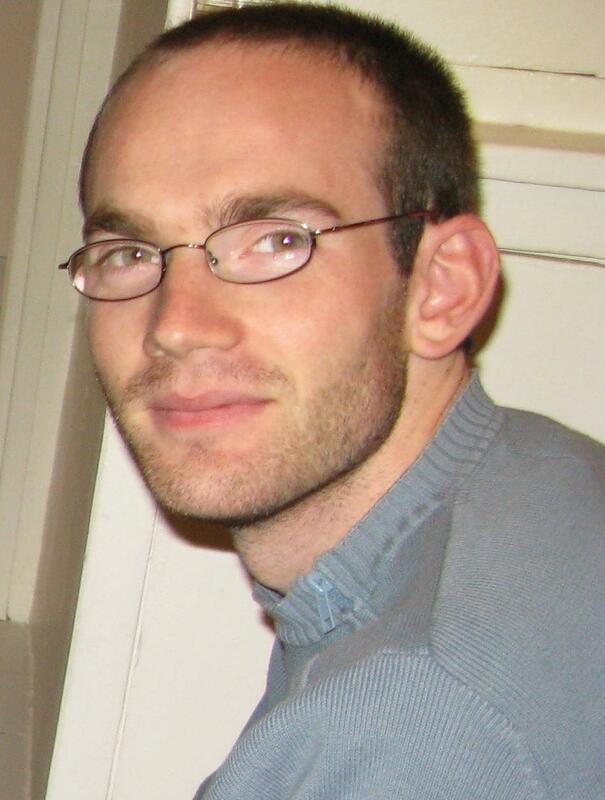 Frédéric Merlin, lecturer and researcher at Paris 7 University. Credits: Paris 7 University. Hartley-2. Credits : NASA/JPL/JLD/Ciel et Espace. 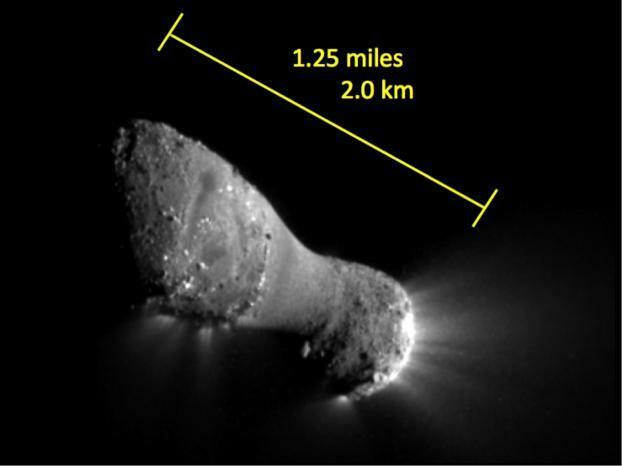 The Deep Impact impactor smashes into comet Tempel 1 in 2005. Credits: NASA, JPL, UMA/Ill. Pat Rawlings. From the ground, it is impossible to precisely ascertain the chemical composition of comets, particularly of their nucleus. Space probes are therefore the only way to study these dirty snowballs—remnants from the formation of the solar system—in detail. And here again, EPOXI has reaped a rich harvest of data. The instruments on the probe have confirmed the presence of chunks of water ice in the comet’s coma and allowed scientists to estimate their size for the first time. Some of them are as big as basketballs! 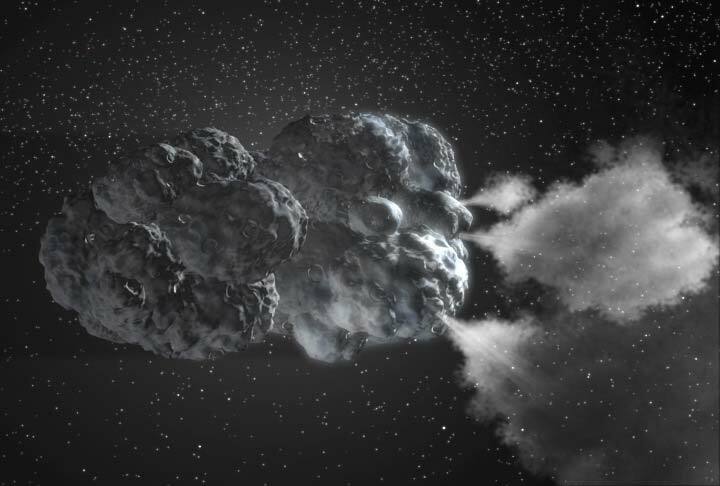 Comets are yet to reveal all their secrets. Credits: NASA/JPL-Caltech. It will take scientists several years to sift through and decipher the 120,000 images and spectra acquired during the flyby of comet Hartley 2. Meanwhile, the Deep Impact spacecraft’s odyssey continues and it could well have more surprises in store. 1 The comet was a little more than 1 astronomical unit (AU) from the Sun, 1 AU being the Earth-Sun distance. 2 On Hartley 2 it is snowing up mostly into space, rather than down as it does on Earth.